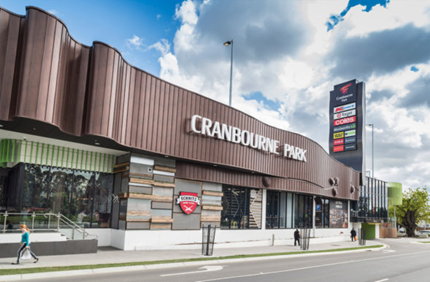 Cranbourne Park is a regional shopping centre located approx. 51kms from Melbourne CBD. Anchored by Coles, Woolworths, Target, and Kmart the Centre has recently undergone a major redevelopment, including a total mall upgrade. 115 specialty stores including a casual dining precinct make up the new look.